Experience fine hand-crafted wines—Experience Miraflores! Nestled in a quiet canyon in the Sierra Foothills stands the breathtaking vineyards of Miraflores Winery. We are passionate in our pursuit of wines which reflect both the terroir and the vision of Miraflores. At Miraflores Winery we strive to emulate the old world tradition of crafting memorable wines, while also being attentive to the creation of gracious surroundings. Miraflores is open daily 10 a.m. to 5 p.m. for wine tasting. Visit our new tasting room opening October 2010! Join us for our fun-filled weekend events, music, cooking classes, art shows, grape stomp, concerts, and more. Please call for more information. At Crystal Basin, it is all about having fun while enjoying our great wines. That’s all! Great juice, legendary hospitality and easy access to Highway 50 make CBC a continual local favorite. 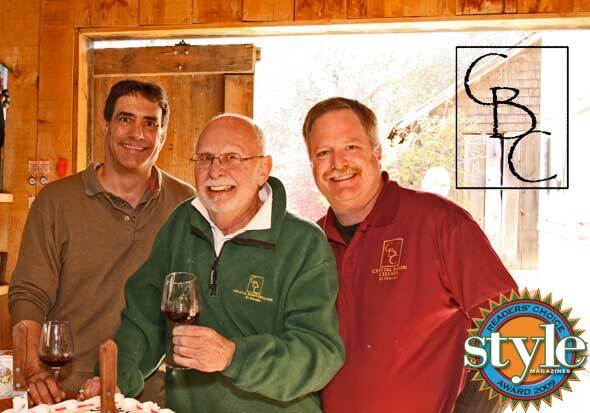 Ask our fans about our rockin’ social events and find more reasons to visit the winery in Camino. We host barrel tastings most weekends and we’re open seven days from 11 a.m. to 5 p.m. We ship wine to over 25 states. Best of All - Tasting is Free! 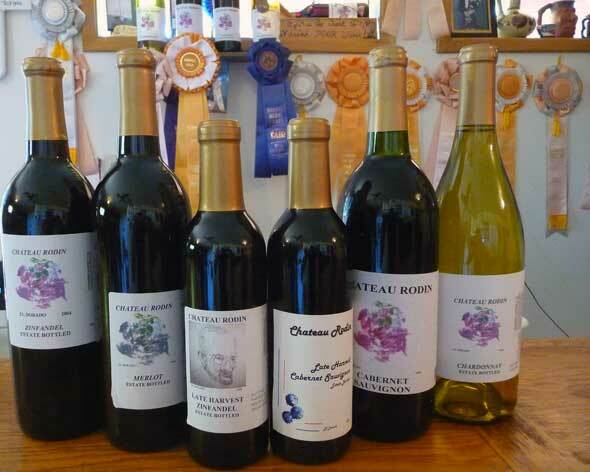 2008 Cabernet Franc – 95 points, Gold Medal, California State Fair, Best of Sierra Foothills Appellation. Gold Medal, El Dorado County Fair. 2006 Syrah – 95 points, Gold Medal, California State Fair, Best of Sierra Foothills Appellation. 2008 Zinfandel – Gold Medal, El Dorado County Fair. 89 points, Silver Medal, California State Fair. 2007 Zinfandel – Silver Medal, El Dorado County Fair. 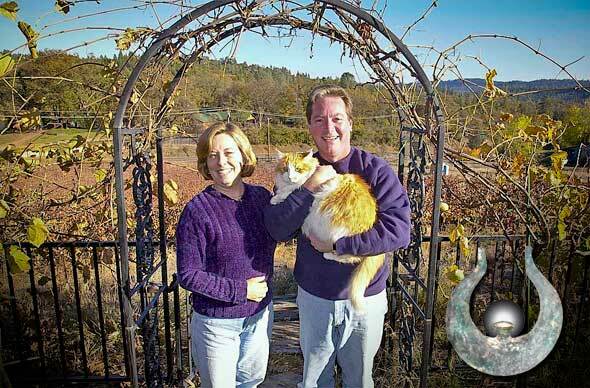 Traveling through Placerville, in 1974, Raymond and Barbara McKay discovered 20 acres of preferred agricultural soil for grapes. Clearing the property, Raymond and Barbara first planted Chardonnay and Zinfandel. Following the initial planting, Merlot, Barbera and Cabemet Sauvignon were added. With the first bottling came the beginning of multiple competition awards. Chateau Rodin boasts a 100 mile view, an ideal location for weddings, luncheons, dinners, picnic, or company functions. Come, enjoy the camaraderie, and sip.